If you encounter a situation where one of the tabs in Google Chrome is causing you problems and won’t close, you don’t have to close the browser to get rid of your troubles. 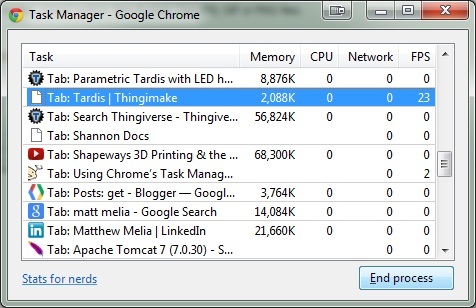 Chrome comes with its own Task Manager that shows you how much of available resources are used by any open pages and used plug-ins. 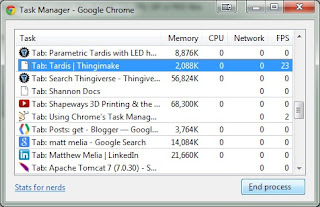 It also allows you to end process on any open tab without having to shutdown the browser. 1. While in Google Chrome, use the following keyboard shortcut: Shift+Esc. 2. The Task Manager will appear. Select the desired page that needs to be closed. 3. Click the End Process button.